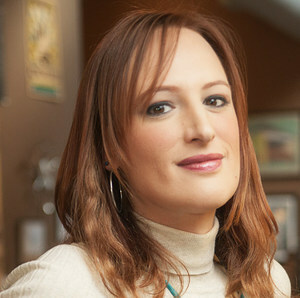 Jen Richards is a transgender activist, writer, actress, and producer. Richards was born in Mississippi and resides in North Carolina. She graduated from Shimer College with a BA in Philosophy, and studied at Oxford University. In 2013, Richards founded the website We Happy Trans. In 2015, she appeared as a supporting cast member of Caitlyn Jenner's reality show I Am Cait. In 2016, she co-starred, co-directed, and co-produced the web series Her Story, which was nominated for an Emmy Award. Richards also co-produced the series More Than T and wrote the Trans 102 series. Richards joined the cast of the television series Nashville in 2017. She became the first openly transgender person to appear on a CMT show, playing the first transgender character to appear on that network.Richards also appeared in the 2017 film Easy Living.